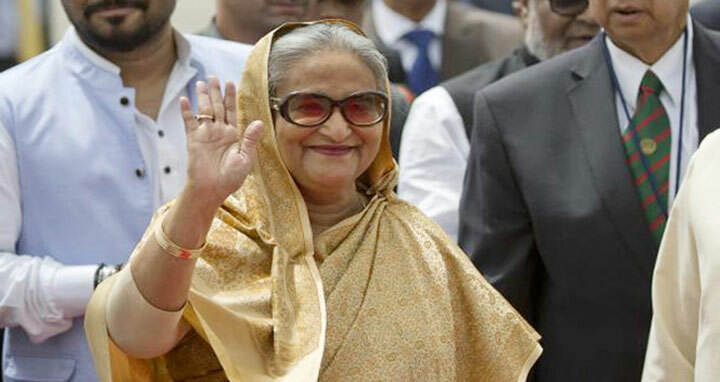 Dhaka, 16 October, Abnews: Prime Minister Sheikh Hasina left Dhaka today for Riyadh on a four-day bilateral visit to Kingdom of Saudi Arabia (KSA) at the invitation of Saudi King and Custodian of two Holy Mosques Salman bin Abdulaziz Al Saud. A VVIP flight of Biman Bangladesh Airlines carrying the prime minister and her entourage members departed Hazrat Shahjalal International Airport at 3.45 pm for the Saudi capital. Industries Minister Amir Hossain Amu, Commerce Minister Tofail Ahmed, Awami League General Secretary Obaidul Kader, Civil Aviation Minister SM Shajahan Kamal, PM’s media advisor Iqbal Sobhan Chowdhury and State Minister for Foreign Affairs Shariyar Alam saw the prime minister off at the airport. Cabinet Secretary, chiefs of three services, dean of diplomatic corps and senior civil and military officials were present.